Boudoir Prive September Box came to my door yesterday, I think this months box was extremely late as they normally come around the same week as the Glossy Boxes. It doesn't personally bother me that it was late, but I do think it should come at the same time each month rather than randomly throughout the month! However, I think it was worth the wait though, I personally really like this box. I dont know why but compared to the Glossy Box it just feels really Luxe. When I opened it I immediately wanted to take a photo (but my camera was out of batter!) it just looked so nice and well presented! This month the box contained six samples and a extra item, none of the items were full size, just true sample sizes. 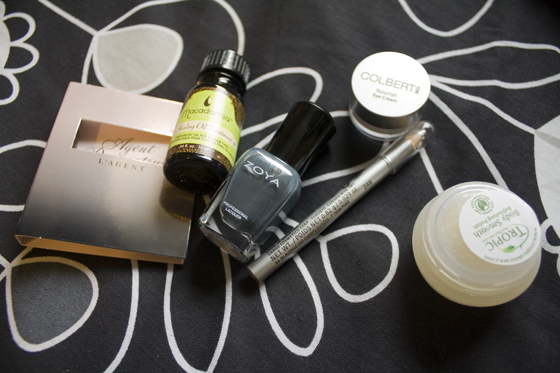 I love the Zoya polish and the Zoya nail swatch plate, I think it just added something a little special to the package. The colour is something I dont currently own either which was a plus. Really interested in using the Macadamia hair oil as well as Im suffering with extreme frizzyness at the moment for some unknown reason, been trying alot of hair oils but nothing I likes really stood out yet! Another eye cream to add to my eye cream collection, but apparently this ones used by Kate Middleton! Plus it retails for £90! Not so fussed on the silver liner as I cant wear things on my lower lashline as I have really irritable eyes, Will be passing that onto my sister! As for the Tropic Body Scrub its something that smells LUSH and cant wait to use it! The perfume sample is OK, Not to my personal perfume taste! But I will probably pop it in my bag for a night out! Overall I really like the items, but I still havent decided which box to keep subscribed too, I like them both. I like the fancyness of the Boudoir Prive one but then I also like the amount of stuff that you get from Glossy Boxes. Boudoir Prive is definitely more sample sized bits compared to Glossy Box. Depends what your really looking for in a beauty box! Im still unsure which I prefer! 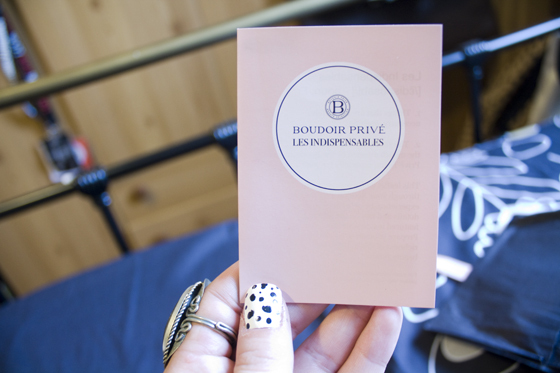 Remember that you can get 50% off your first box from Boudoir Prive using the code 1BOX12. Thanks for showing us this months box. I, like you, am still unsure as to which one to subscibe too. Will be interested to see which one you go with in the end. its a great box review! Really love the looks of the nail colour samples from Zoya! I agree that the Boudoir boxes look quite a bit more glamorous compares to the Glossybox, though I get neither so I'm only speaking from what I've seen on blogs, hah. 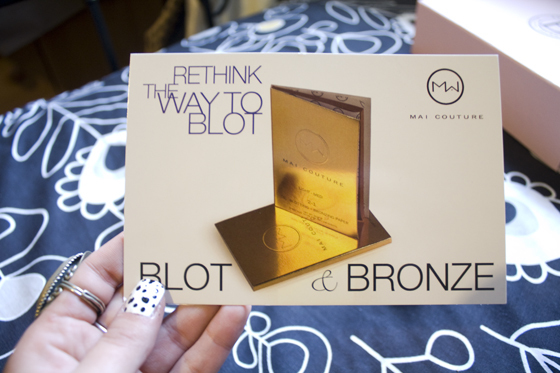 I loved this months box, it excited me a lot more than previous Glossy Boxes have. I can not believe I just discovered you had another blog! I feel like such a bad follower, anywho I love it.